It’s best to avoid taking a field sobriety test. That’s because a third or more of sober people fail it. You can be completely sober and easily have a failed field sobriety test. This means you will be arrested for DWI or DUI. The arrest usually occurs before you can clear yourself with a breathalyzer test. Even when you’re cleared, you still have an arrest record for the rest of your life because of a failed sobriety test. Avoid an Unjust DWI or DUI Conviction. DWI & DUI Facts and Fiction. The field sobriety test is officially called the Standardized Field Sobriety Test battery. It consists of three different tests. Each is supposed to be administered and graded by an impartial law enforcement officer. The three tests are the One-Leg Stand, the Walk and Turn, and the Horizontal Gaze Nystagmus tests. Grading each test is subjective. Research has shows that officers who view and grade the same person taking the same test disagree about the score. That’s when they watch the very same video. That means you can pass with one officer but fail with another. It’s the luck of the draw. The One-Leg Stand is the one least effected by this subjectivity. Therefore, we can have more confidence in it than the others. But the One-Leg Stand test is notoriously inaccurate. Under ideal conditions, it’s little better than flipping a coin in distinguishing between sober people and those with an illegal BAC. A government study, under ideal conditions, found that 47% of subjects would have been falsely arrested by trained officers. When a driver is pulled over and takes the test, the conditions are never ideal. The roadside surface is uneven, traffic is passing close by, it’s usually noisy, there’s a patrol car’s blinking lights, and usually dark. The driver is typically frightened and highly anxious. This makes following directions very difficult. And not following directions quickly can lead to a failed field sobriety test. Yet there may be even more serious problems. It may not be a good measure of intoxication. But the One-Leg Stand is an excellent indicator of age. It’s also useful in diagnosing balance impairment; various back, leg and foot problems; peripheral neuropathy; and other factors. Balance problems are extremely common. They have many causes, including medications, ear infections, head injury, low blood pressure, inner ear and brain problems. They are among the most common reasons that older adults seek help from a doctor. Peripheral neuropathy is also common. It can result from infections, medications, diseases, and treatments such as chemotherapy. It’s a very frequent problem of diabetics. Other factors that can effect the One-Leg Stand include arthritis, eye muscle imbalance, and exactly how a person stands. Also height, weight, gender, trunk length, shoulder girth, hip girth, and foot length. Any one or combination of factors can lead to a failed field sobriety test. Officers are hard-working and conscientious. But if they pull you over for suspected DWI, this fact influences their grading of your test. And it’s not in your favor. Much research demonstrates this. Everything that you say and do will be used against you. Even when graded by a well-trained, conscientious officer, the results will not be accurate. The accepted minimum reliability coefficient for standardized clinical tests is .85. Government tests have yielded coefficient ranging from .61 to .72 for subjects with identical BACs. When different officers grade each subject, the numbers ranged from .34 to .60. It’s clearly best to avoid taking the field sobriety test, even if perfectly sober. Fortunately, taking the test is optional. And there’s no penalty for refusing it. Implied consent laws apply only to breathalyzer tests. Even if you’re completely sober, most lawyers advise that you politely refuse to take the field sobriety test and call a lawyer. Many also advise that you activate the recorder on your phone before the officer comes to your car door. It may be best if the officer doesn’t know the interaction is being recorded. That could make all the difference if you are arrested. Most people know that driving with a .08 BAC is per se evidence of intoxication. But driving with a .05 BAC is usually seen as evidence of driving while impaired. That could lead to arrest. So it’s always smart to stay well below that level. Remember that breathalyzers are not very accurate. So you could be convicted even if your true BAC falls below that. 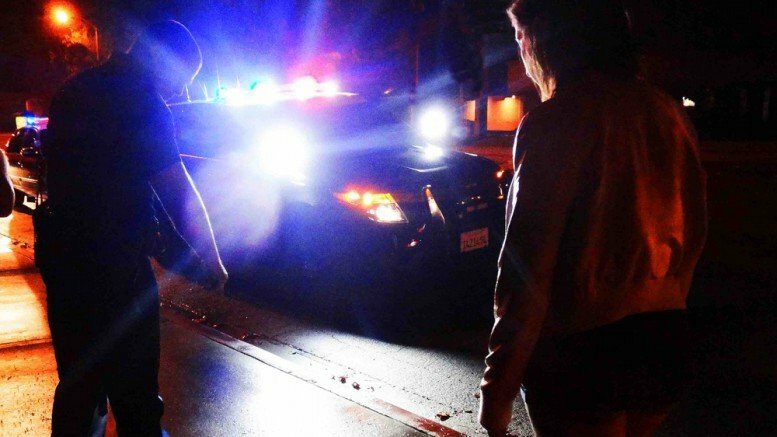 If you experience a failed field sobriety test, it’s best to consult a lawyer. It should be one who specializes in DWI and DUI cases.